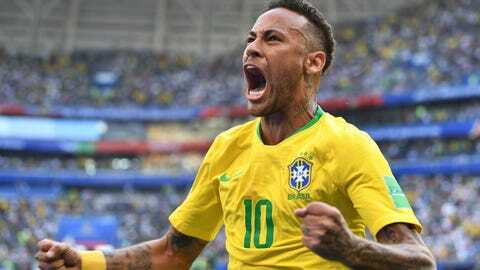 SAMARA, Russia (AP) — Neymar flaunted his flair and his theatrics with a goal and an assist Monday to lead Brazil into the quarterfinals at the World Cup with a 2-0 victory over Mexico. The world’s most expensive player put Brazil in the lead after his back-heel released Willian, who then sent the ball into the penalty area. Neymar slid in to tap in the opener in the 51st minute. It looked like Neymar’s game — or even his World Cup — could be over with 20 minutes to go. It turned out to be pure histrionics. Writhing in agony after his right ankle was stepped on by Miguel Layun, Neymar managed to get back on his feet. But not before trying a stamp on Layun himself. Both escaped punishment.